Finally, a female version of the popular Peter Bachin Muscular System chart! 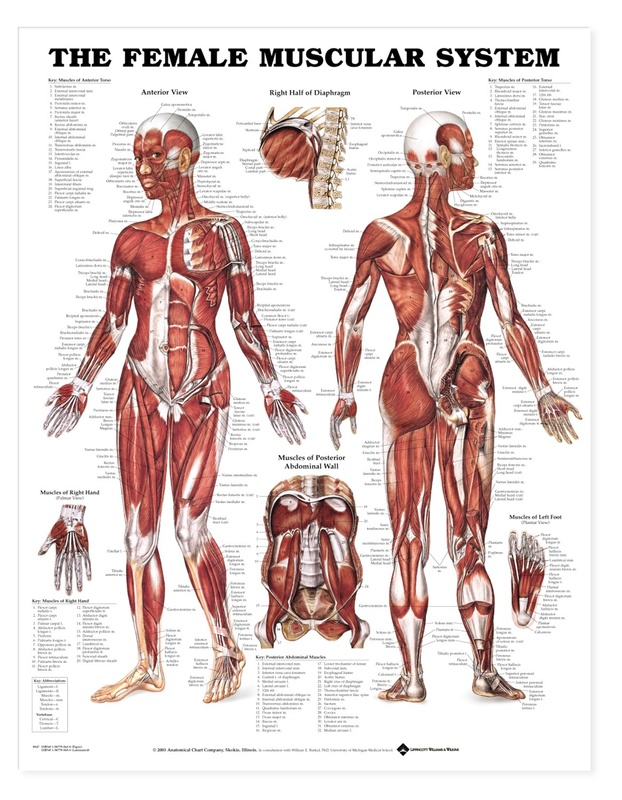 The Female Muscular System Anatomical Chart shows anterior and posterior views of the muscular system. 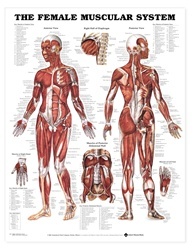 It also illustrates the right half of the diaphragm, the muscles of the posterior abdominal wall, the muscles of the right hand (palmar view) and the muscles of the left foot (plantar view).